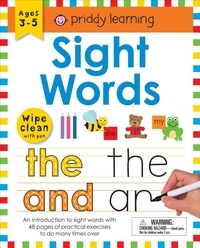 This Sight Words wipe-clean workbook will help your child master the most common words in the English language. It comes with a dry-wipe pen, perforated flash cards, and 48 pages of activities to help build their reading and writing confidence. A fantastic tool to help elementary school kids learn to read and write.